HENRY TYLDESLEY begs leave to inform the nobility, Gentry, public in general, and his friends in particular, that he has opened a shop opposite Hungerford-street in the Strand, with an entire fresh assortment of goods in that way; where their commands will be executed with the greatest punctuality, and on the most reasonable terms. N.B. Genteel Furnished Lodgings, like quarter, week or night. Enquire as above. Hungerford Street led into the old Hungerford Market. The map above, sourced from David Hale's excellent Map And Plan Collection Online (MAPCO), was produced by John Cary in 1795. 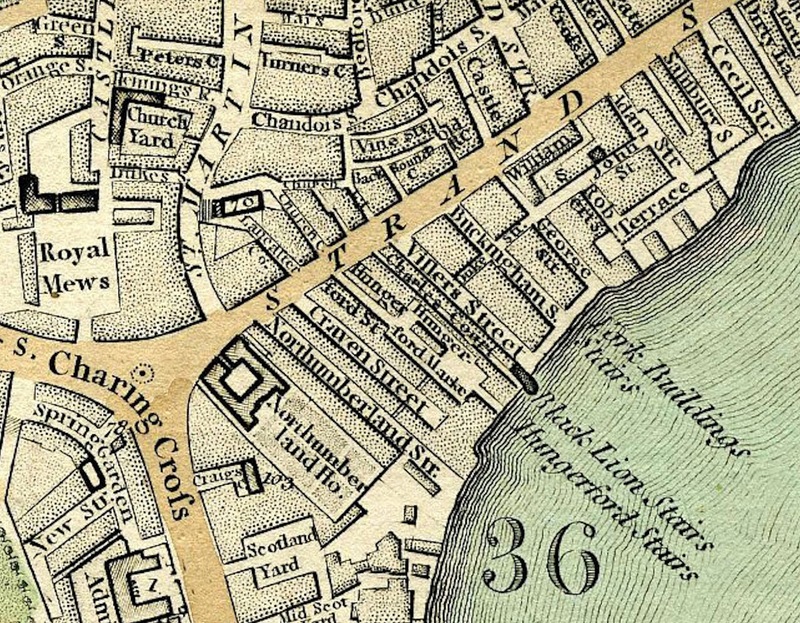 In 1833 the market was demolished and rebuilt, with the new market in turn being demolished in 1862 to make way for Charing Cross Railway Station. Whereas a Commission of Bankrupt is awarded and issued forth against Henry Tildesley (FN1), of the Strand in the County of Middlesex, Perfumer, Dealer and Chapman, and he being declared a Bankrupt, is hereby required to surrender himself to the Commissioners in the said Commission named, or the major Part of them, on the 25th Day of June instant, and on the 2d and 30th Days of July next, at Ten of the Clock in the Forenoon, on each of the said Days, at Guildhall, London, and make a full Discovery and Disclosure of his Estate and Effects; when and where the Creditors are to come prepared to prove their Debts, and at his Second Sitting to choose Assignees, and at the last Sitting the said Bankrupt is required to finish his Examination, and the Creditors are to assent to or dissent from the Allowance of his Certificate. All Persons indebted to the said Bankrupt, or that have any of his Effects, are not to pay or deliver the same, but to whom the Commissioners shall appoint, but give Notice to Mr. Popham, Attorney, Lincoln's Inn Fields. All the Stock in Trade, and neat Household Furniture. To be viewed on Wednesday next, and till the Time of Sale. Catalogues at the Place of Sale; and at Mr Mansel's, Jermyn-Street; and at Mr Barford's, Piccadilly. 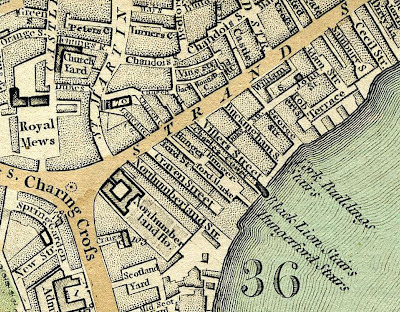 THE Commissioners in a Commission of Bankrupt awarded and issued against Henry Tyldesley, of the Strand in the County of Middlesex, Perfumer, Dealer and Chapman, intend to meet on the 2d Day of December next, at Ten of the Clock in the Forenoon, at Guildhall, London, to make a Final Dividend of the said Bankrupt's Estate; when and where the Creditors who have not already proved their Debts are to come prepared to prove the same, or they will be excluded the Benefit of the said Dividend. And all Claims made on the said Bankrupt's Estate, which shall not then be duly proved, will be disallowed. Whereas the acting Commissioners in the Commission of Bankrupt awarded against Henry Tyldesley, of the Strand in the County of Middlesex, Perfumer, Dealer and Chapman, have certified to the Right Honourable Henry Earl Bathurst, Lord High Chancellor of Great Britain, that the said Henry Tyldesley have in all Things conformed according to the Directions of the several Acts of Parliament made concerning Bankrupts; This is to give Notice, that by virtue of an Act passed in the Fifth Year of His late Majesty's Reign, his Certificate will be allowed and confirmed as the said Act directs, unless Cause be shewn to the contrary on or before 17th May next Footnote (FN3). The date of 17 May 1777 was confirmed in subsequent publications (FN4). Would Henry Tyldesley's next business venture be more successful? 1. The spelling was corrected to "Tyldesley" in the London Gazette of 18 June 1774.